Good, don’t do it again. Not doing something the first time is a lot better than apologizing when some think it’s too late. Of course, Congressional Democrats were giving her backlash over this too. Let’s not forget that the Jewish people suffered one of the largest attacks on their religion in one of the deadliest shootings in American history. They will be remembered. I have to say, as someone who is not a fan of Antisemitism, I’m also not a fan of Anti-Catholicism either as a Roman Catholic. But life isn’t fair folks. I’m sure we get hit on the most. Regardless, Omar has apologized for her remarks. on twitter. Freshman Rep. Ilhan Omar (D-Minn.) apologized on Monday for tweets suggesting that American lawmakers were motivated by money to defend Israel. 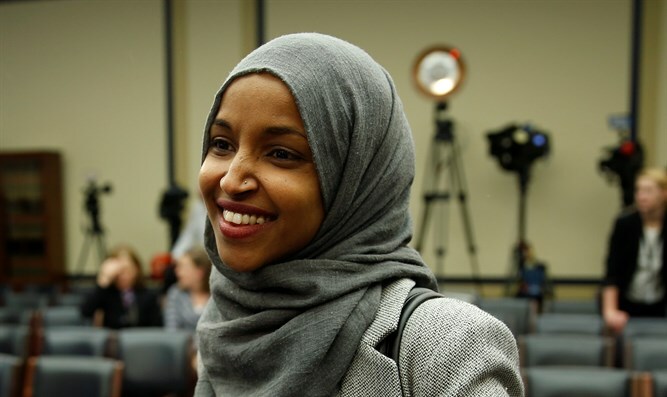 Omar’s apology came after she spoke with Speaker Nancy Pelosi (D-Calif.), who along with other House Democratic leaders called on her to apologize for the “use of anti-Semitic tropes” about Jewish people and money. But Omar stood by her criticism of the American Israeli Public Affairs Committee’s (AIPAC) special interest influence. Omar on Sunday sparked backlash when she retweeted journalist Glenn Greenwald responding to a story about House Minority Leader Kevin McCarthy (R-Calif.) promising “action” against her and fellow freshman Rep. Rashida Tlaib (D-Mich.) over their views critical of Israel. “It’s all about the Benjamins baby,” Omar tweeted, referring to money. Omar then tweeted that AIPAC was paying American politicians to support Israel. AIPAC doesn’t directly donate to political candidates but does sponsor regular congressional delegations to Israel.